It’s that time of year when we send out a list of our most popular blogs. This year we have included our most popular community group videos to the list. We would like to thank everyone of our subscribers for their interest in our blogs and community group meetings - 2018 was an exciting year for us! Convergence Data knows the importance of your part data. We know that part data is a core asset for your company, and that the quality of that data is fundamental to the health of the business and the bottom line. Start the new year right with a review of the best ways to enrich your data in 2019. 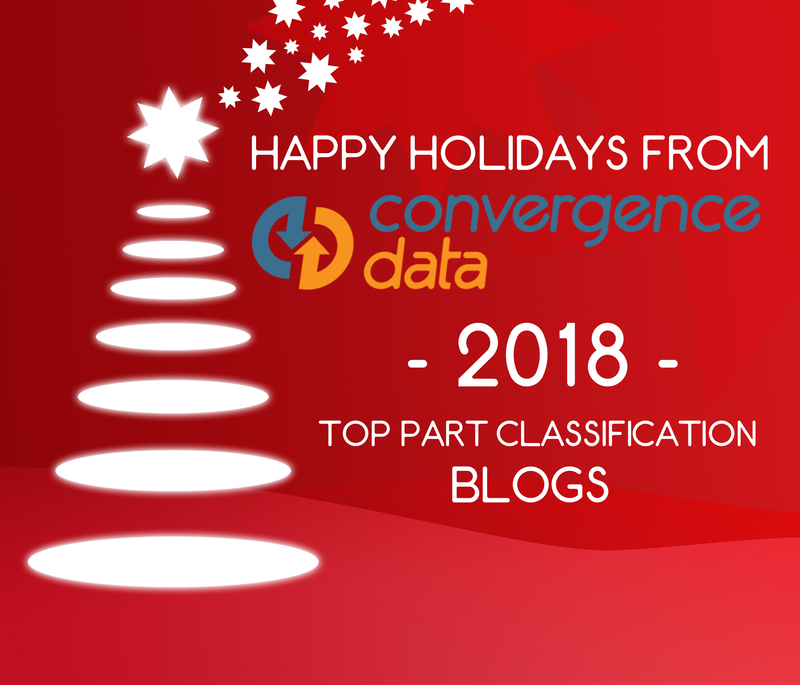 Below is a recap of our top five part classification blogs and community group videos for 2018 ranked by our subscribers. Please stay on top of your company’s core assets in the new year! 1) Blog: Five Best Practices for Part Classification* - Define a classification structure, identify critical attributes, prioritize parts/material to migrate, don’t get hung up on creating the structure (begin with the end in mind), and lastly, leverage resources (smart part numbers, description fields, commodity codes, suppliers, etc.).. * This has been our Number One blog for the past three years running. 4) Blog: 3 Key Teamcenter Data Migration Steps You have heard it a million times before - garbage in garbage out - but how do you prevent bad data from going into your key systems like Teamcenter? The answer is actually easier than you would expect; pre-planning, organizing classification models, and some up front data cleaning in a staging environment is the key…..
5) Video: Analytics That Produce Real Cost Savings – This classification community group meeting was about how to run a DVA to obtain the best results - including: DVA process, Case Study and DVA benefits.